Endangered American burying beetle; state insect of Rhode Island. Photo by USFWS Mountain-Prairie/Flickr (Use Permitted with Attribution). 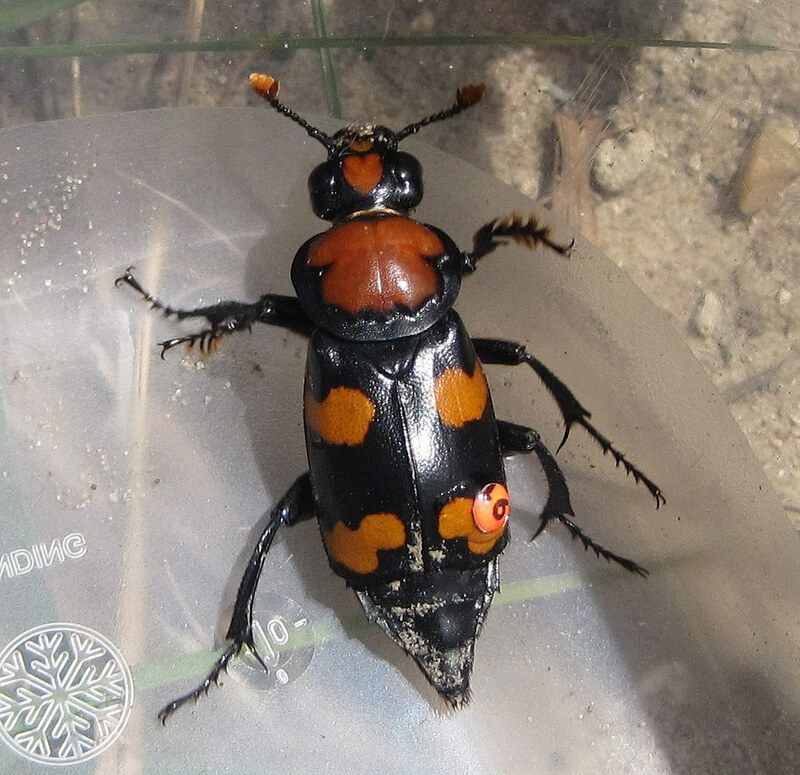 Once a resident of at least 35 states, the American burying beetle is now found in only six: Rhode Island, Nebraska, Oklahoma, South Dakota, Kansas, and Arkansas (with attempts being made to reintroduce it into Ohio and Massachusetts). The American burying beetle is a member of the carrion beetle family (Silphidae). The burying beetle is a nocturnal scavenger that helps recycle decaying material back into the ecosystem. The largest carrion-frequenting insect in North America; the American burying beetle can reach 1-1/2 inches in length.